So for Christmas, which seems many moons ago now, I got not one but two boxes of Hope and Greenwood Peanut Butter Truffles from Snack Warrior R4Rreviews and Mrs Nutty 1T over at One Treat, I’ve simply no idea how they knew I love peanut butter…… haha. I have spied Hope and Greenwood boxes in the Supermarkets however have never come across Hope and Greenwood Peanut Butter Truffles, and as you can imagine my excitement levels of this present was pretty sky high and to the moon and back. First off I love the packaging it’s typical Old Fashion Sweet Shop and it even has the word ‘Splendid’ on, and any food emblazoned with such brings hope that it is going to be a winner. 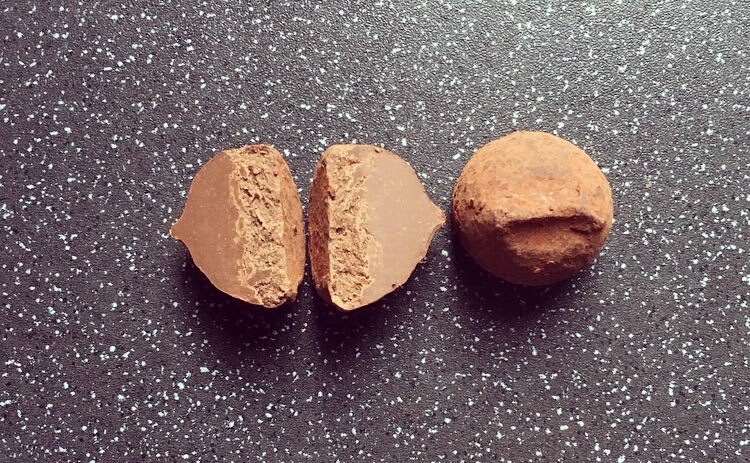 Sealed in a foil packet for freshness, all cocoa dusted truffles were identical with two distinct layers when split in half. Smooth but firm, taking a bite I was instantly met with an incredibly rich, indulgent, smooth dark chocolate ganache. 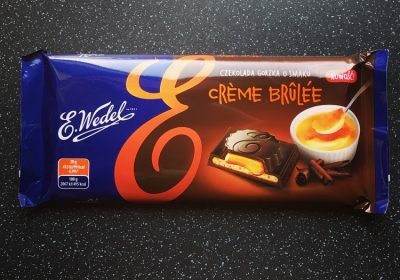 The dark chocolate was as dark chocolate should be, slightly bitter and intense. 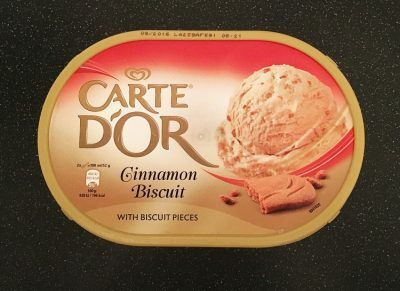 Hope and Greenwood really were not kidding when they said ‘subtle’ peanut butter flavour because if you blink you certainly miss it. There was a hint of a salted taste as I munched my way through the truffle, but the richness of the dark chocolate by far overpowers any real peanut butter flavour. Given their indulgence, I would be mighty surprised if you could eat more than one or two of these truffles because they really are rich and decadent. The quality is definitely there, there’s no disputing that, and I am more than happy to eat these as cocoa truffles, however there just isn’t that peanut butter flavour whether it be subtle or not. 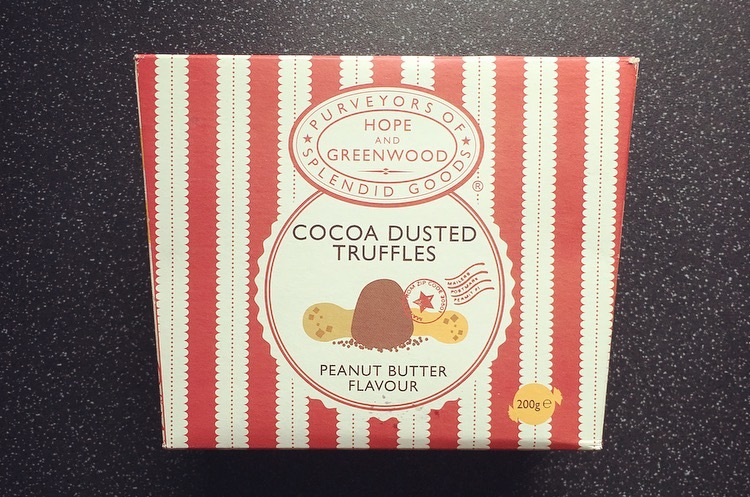 It’s a real shame, Hope and Greenwood were onto a winner when they devised these truffles, but alas they are lacking on the peanut butter front. Maybe one could dunk them in Peanut Butter..